For big parties, Cravings' Buffet Compliments are a festive addition to the tablescape, which include options of Sushi Selection, Lechon Wrap Station, Barbecue, Pasta, Carving Station for Roasted Ribeye or Roasted Turkey, and an Ice Cream Bar that can serve up to 100 people. Aside from the food, Cravings can also provide on-the-day event management services, basic sound system and multimedia equipment and event styling so you only have to worry about enjoying the party as much as you can. No idea what to bring to your potluck party? 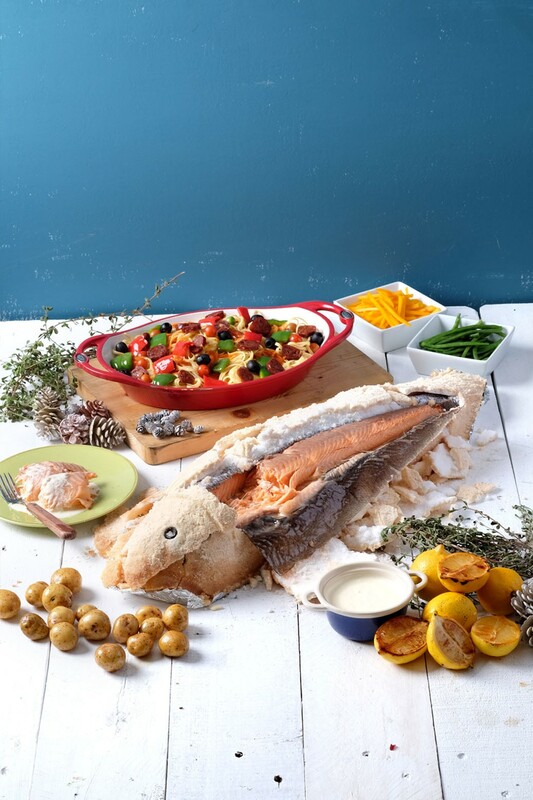 Cravings has classic party staples and choice selections from different cuisines that will surely impress. 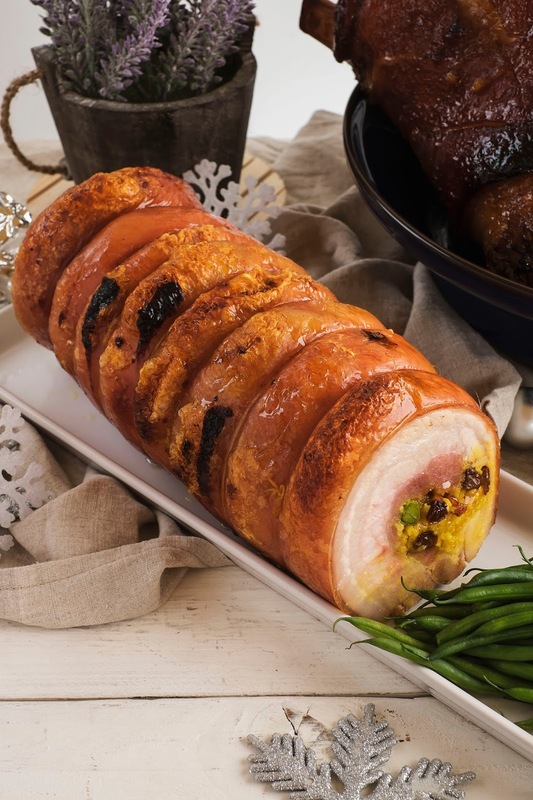 Specials include Roast Turkey with Chestnut Raisin Stuffing, Salt-Crusted Fresh Salmon, Crackling Pork Bagnet with Arroz Valenciana, and Lamb Moussaka. 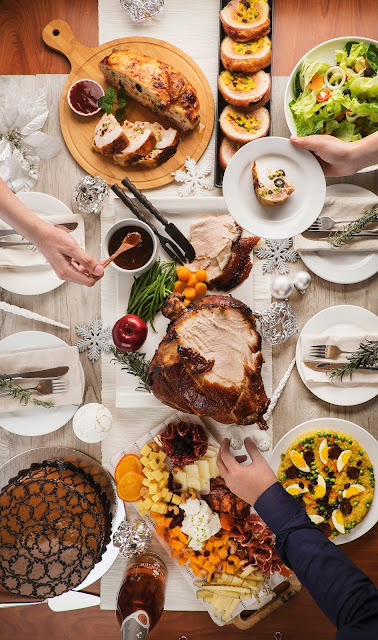 Classic selections include Roast Beef and Mushroom Sauce, Chicken Cordon Bleu, Chicken Gallantina, Four-Cheese Lasagna and Pasta Paella, which come in Family and Party sizes. If you're feeling extra generous, grab sweet treats from the Cravings bakeshop. 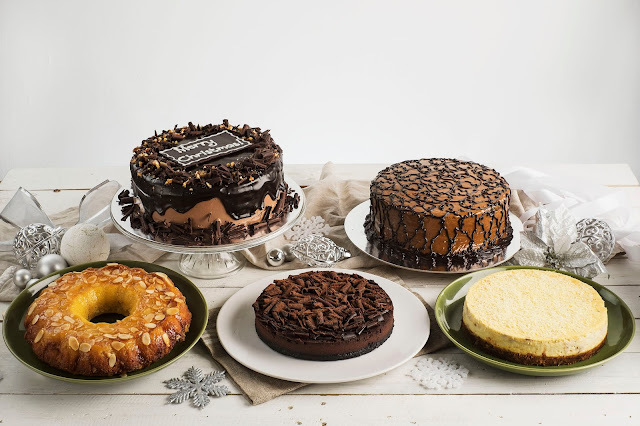 Choose from whole and junior cakes, holiday bars and bestselling smores - desserts that give holiday meals a grand ending! Christmas just wouldn't be the same without beloved Filipino dishes and C2 Classic Cuisine can bring that homey quality to your table whether it for potluck, a family dinner or an intimate party with friends. 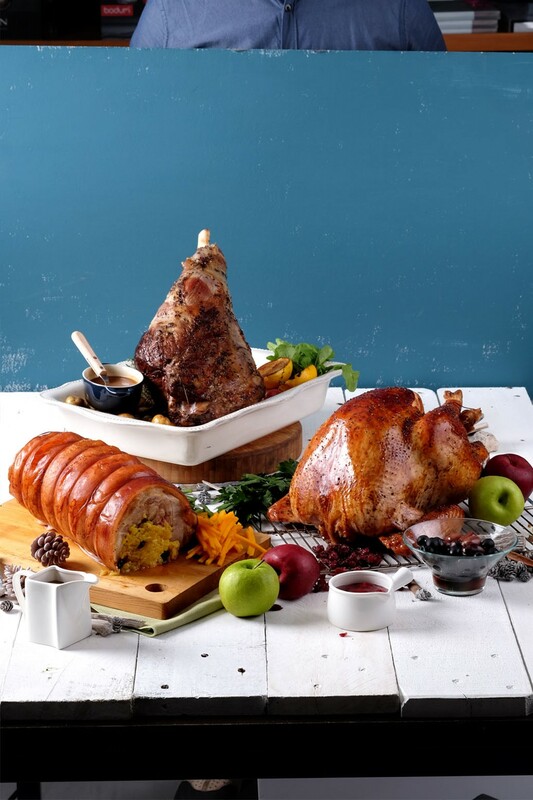 C2 Christmas offers include Family and Party sizes of their bestselling dishes like Crispy Kare-Kare, Classic Crispy Pata and Lechon Belly. Platters good for 4 to 5 people are also available. For groups of 6 to 8, the Salu-Salo sets combine vegetable, meat and noodle dishes for a satisfying Filipino feast. Give your parties a gourmet touch with deli meats, cheese and wine pairings from Epicurious. Make your own grazing table with Epicurious array of deli meats and sausages that include Bavarian Smokies, Kielbasa, Beef Pastrami and Maple Smoked Ham complemented with favorite cheeses or go for the pre-made Deli Boards with Two-Cheese, Three-Cheese, Five-Cheese and Ultimate Cheese variants (comes with specialty cold cuts, sausages, crackers and spreads). Epicurious also has Steak and Wine Kits and themed gourmet baskets so you can be sure to have plenty of good vibes (and good wine) to go around. B&P gives you more reason to indulge in their comfort food dishes with their special dine-in menu at just P500 per person. Choose from 3 menu options: Sandwich and Pasta; All Day Breakfast or Chef's Bowl. You can also take B&P with you to your next party with Potluck Trays of their bestsellers and B&P Express Packed Meals that range from P400 to P500. Say your season's greetings with a generous helping of Wicked playful treats that will delight dessert-loving revelers. Make them feel the love with mouthwatering Smores in dark, white and milk chocolate, Barks in Almond Cranberry, Matcha Oreo and Tropical Fruit or gooey brownie-and-cookie on a stick called Brookies that can now be delivered to your doorstep. They also have cupcakes, dessert bars and a decadent array of cakes. You can order online via www.wickedbycravings.com. Spreading holiday cheer doesn't just involve gift-giving, it can also involve throwing an exclusive event for colleagues or clients that will make them feel extra special. Take them out of the office and treat them to a new experience such as a premium coffee-making class by Australian specialty coffee shop Where's Marcel?. The coffee chain conducts fundamentals of Coffee classes in their 4 branches (located in Ortigas, Pasay, Formosa and Pampanga). Just bring your curiosity with you! For inquiries and bookings, contact 0920-9831095, 0917-1070323, (632) 907-9205 or e-mail: sales.manager@cravingsgroup.com or catering.events@cravingsgroup.com. For information, visit www.cravingsgroup.com/cravecelebrations.